The crickets insect with strong vitality live everywhere of world. You may find it on the grassland, forest, bush, marsh and your house, even you may find them in cave or crevice, cracks in stone or cracks in bricks. Though you feel this kinds of insect seem does not care about habitat, actually you are wrong. The cricket is also very famous as same as cicada’s fame. 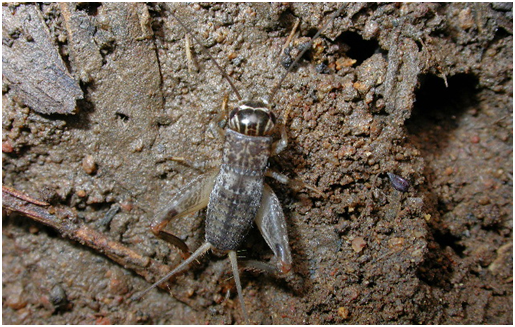 The cricket’s fame is not only due to its chirping, but also is about its housing and habitat condition. Most of the other insects are hiding in temporary shelters. It is no pity for losing their habitat because their habitat proceeds without effort. The most insects may live on the tree, in the hole, or even near the pond without any ornament. 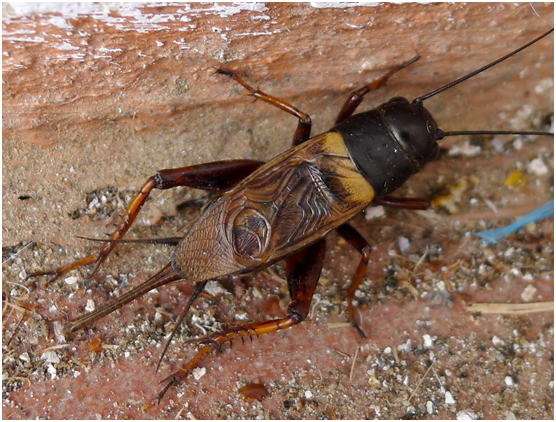 Crickets are quite different from other insects and they do not want to enjoy themselves wherever they are. It often chooses the address carefully and must be well drained and has mild sunlight. It does not use existing caves, and its comfortable home is dug up by itself, from the hall to the bedroom. There is another feature of the crickets as one house is only for one male cricket or couple of crickets namely one male and one female. Because their aggressive character, they cannot live together exactly for male crickets. The cricket houses were mostly built in October. When autumn is cold, it uses the forelegs to pick up the soil and uses the “pliers” (teeth) to remove the larger soil. It uses powerful two back-legs, with two rows of saws, to push the soils back to the behind of house and to tilt it out. On the bank facing the sunshine, there was a leaning tunnel hidden in the grass, which would soon dry out even if there was a sudden heavy rain. The tunnel is in twists and turns along the terrain, at most nine inches deep with the width of a finger, which is the house of the cricket. There is always a bush in the exit just like a door. The cricket comes out to eat the surrounding grass and never touches the bush nearby its house exit. When surround and vicinity are quiet, the cricket plays the piano on this platform. Its chirping is very melodious. Find more information about insects and nature.